Immaculate, brick home is move in ready! Updating throughout with new hickory wood flooring on main floor, accompanied by beautiful built ins with leaded glass in dining room, inviting fireplace with adjoining room for reading area, office or your choice! Big bay window allows sunshine to fill and warm living room. Relaxing sun room complete with stylish pine ceiling. Nice eating space in kitchen which comes complete with all stainless appliances including gas range. Main floor has bedroom with added area that could be office or play room. Upstairs features the true master suite with large sitting area and master bathroom. Finished basement has non conforming bedroom, plenty of storage space and large flexible bonus room. New interior paint throughout. Outdoor entertaining made easy with brick patio, garden area and privacy fence. 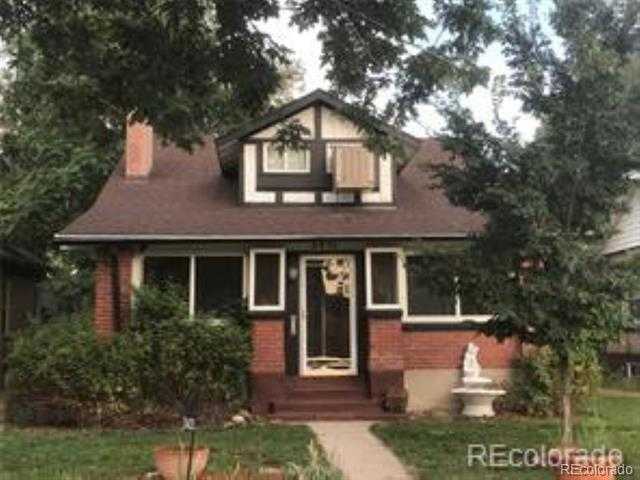 Great location, convenient to downtown and light rail.